Ms. Bethany Bilewu is a dedicated student at Towson University as well as a hip-hop teacher here at Misako Beats. Born in Nigeria, Bethany moved to Maryland at a young age and begun her dancing journey. She started dancing at just two years old because she was always active, and through dance learned about perseverance. Bethany wants her students to never limit themselves, and never say that they “can’t”. She wants them to keep challenging and pushing themselves just like she did. I was born in Baton Rouge, Louisiana and that’s where I started dancing. At this point, however, I pretty much feel as if I’m from the DC area. After a youth filled with sports – baseball, gymnastics, and wrestling - I took a modern dance class in the Limon style, then started studying full time at a small school in Baton Rouge called The Brantley School of Ballet. The late Phoebe Brantley was a great coach and she gave me so many awesome learning opportunities. She took me to see the ballet in New Orleans on several occasions and brought many excellent teachers into the school including the Russian émigré, Alexander Minz, Martin Fredman and others. Alexander “Shasha” Minz made arrangements for me to audition in DC with one of his Russian friends from the Moiseyev Ballet named Yuli Vzorov. I studied with Yuli and danced in his small company, Rhythm Ballet, for two years. I also did a lot of academic study on my own on the history of ballet, the various styles, choreographers, the language, etc. I do not have structured conservatory training. I have to say it feels awesome to really nail double tours en l’air. I probably like this so much because of how hard it was to learn and how “not awesome” it feels to fall during an attempt! I love everything about dance! Dance is athletic. Dance is artistic. Dance is romantic. Dance is expressive. Dance is challenging. For better or worse, dance has formed my life. My first ballet teacher, Phoebe Brantley, once said to me: “Talent is the ability to work.” That really stuck with me because not every dancer is gifted with long legs, supple back and feet, and natural ability. But it takes absolutely zero talent to show up on time; to have a positive attitude; to stay focused; to observe and learn from others; and to develop the ethic to work hard. These attributes will create success in most any endeavor. I’m not of the opinion that dancers should “suffer for the art.” We should all be able to find joy and have fun with dance but hard work in not negotiable. I enjoy a wide variety of movies but prefer script driven movies. And while the action films like Star Wars, Gladiator, and Braveheart were great, the Academy Award winner Crash always comes to mind as a favorite. I still play a lot of sports including softball, and to a lesser extent tennis (too hard on my dancer knees:). I love hiking outdoors also. When indoors I watch sports on TV and read. Chris Judge is from a little town just outside of the District of Columbia. He began studying Qi-Gong at a local martial arts club in 2001, and as he progressed his teacher introduced him to other teachers. Now when he sees his teachers they mostly drink tea together and discuss theory. Chris says his favorite Tai-Chi/Qi-Gong movement is the Sun Form's “Fair-Lady works the shuttles” because it's the most difficult sequence for him. He says it still tickles his brain. Chris says his favorite movie is 1955's “Night of the Hunter” starring Robert Mitchum. Aside from teaching Hatha Yoga and Tai-Chi/Qi-Gong Chris spends most of his time drawing comics at his drawing board. Seth and Jessica are hip-hop teachers at Misako Beats. They moved around a lot in their childhood. They both lived in many states and Seth lived in multiple countries including Ghana and Canada. Seth fell in love with dancing when he was little and watched Michael Jackson perform. He fell in love with Jackson’s technique and began to watch a lot of dance, despite never actually dancing himself. In 2003, Seth performed with his friends in an international festival and realized he was a natural- since then, Seth has been dancing and loving it. Jessica always had a sister who was a ballerina, and Jess knew she wanted to dance but not in the style of ballet. In her Kindergarten talent show, her mother choreographed a piece for her to dance. After that Jessica and her mother kept choreographing dances to perform. Eventually, Jessica found friends who liked to dance and would learn choreography from music videos with them. 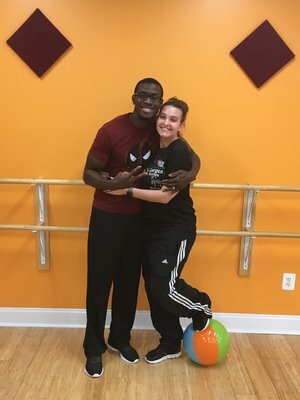 Jessica and Seth are Hip-hop lovers and love to teach children this style of dance. Thank you Jessica and Seth. 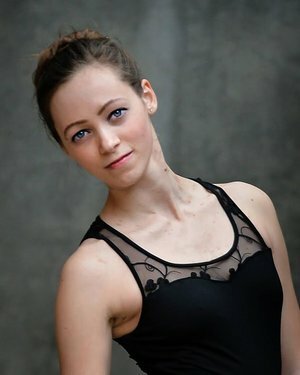 Ms. Amber Hodak was born in Japan and has been dancing most of her life. She discovered dance when she was five years old and went to see a ballet. Realizing her love and passion for the art, her mother immediately enrolled her in dance classes and she has been dancing ever since. In Japan, Amber danced at an athlete club in a military base. 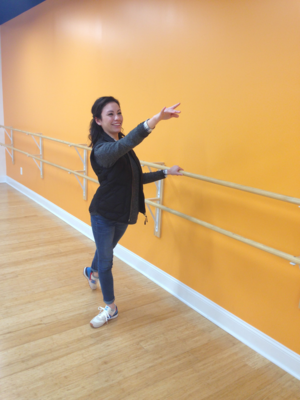 She moved to Maryland when she was nine, and began dancing at Misako Ballet Studio. She has been a part of many dance companies and continues to cultivate her love of dance. Amber's favorite part of dancing is learning about the different cultures and styles of dance as well as being able to express your feelings as you dance, without talking. 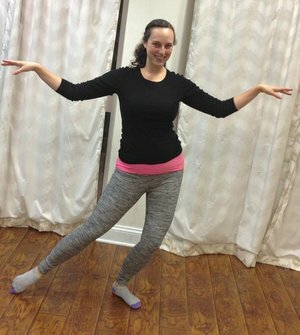 Amber's favorite dance move is turning - she LOVES to turn! Every year Amber dances at the multicultural fest in October and loves to share her passion with others. When she teaches, Amber feels the most important lesson to pass on to her students is to always have fun and never forget why you started dancing. Ms. Amber is a dancer of Misako Ballet Company. Come to see Misako Ballet Company 10th anniversary performance "Perspective" on Feb. 19th at Jim Rouse Theatre! Faunai Brown is from Baltimore, MD. She studied dance at the Baltimore County Youth Ballet and from there she studied dance at the University of Utah. This is her first year teaching here at the ballet studio, she teaches elementary ballet, ballet 1, ballet 3 and ballet 5 classes. Ms. Brown originally started taking dance class with her older sister, her sister quit, but Ms. Brown continued. She absolutely loves to dance she says “dancing is a good way to express myself”. Her favorite style of dance is Ballet, she loves the way it is so structured and organized. One of the most important lesson Ms. Brown loves teaching her students is confidence and strength. She wants to teach her students to be confident in everything they do and how they do it. Along, with that she loves teaching her students physical strength. Her absolute favorite move is Centerstage, it is such a classic and her favorite activity in Howard County is going to the Columbia Mall!